This deep ruby red wine with purple undertones boasts fragrances of cherry, raspberry, pomegranate, and violet, that then develop to reveal woodsy notes of medicinal herbs and a faint mineral quality. Whereas in the mouth it is captivating, bold and well-balanced. This red wine features a long, full-flavoured finish that recalls notes of ripe fruit with a hint of spice. This wine is full-bodied yet fresh and versatile; it pairs well with a rich dish featuring assorted fried foods, among others. 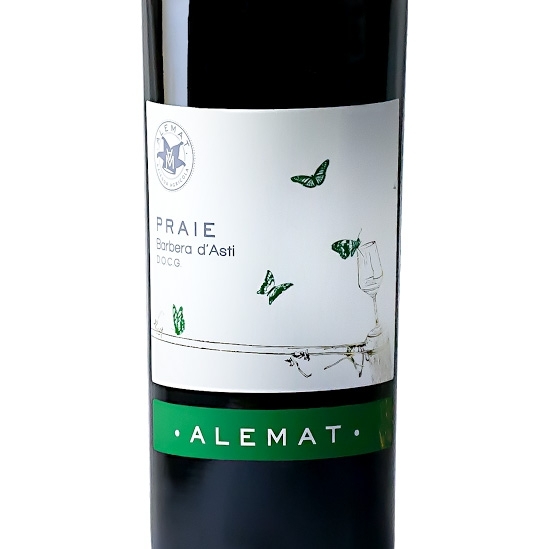 Alemat’s “Praie” Barbera d’Asti DOCG is produced from perfectly ripe-picked grapes which, after being fermented are left to age in steel tanks from 6 to 8 months. They then age for another 2 months once bottled before being put on the market. 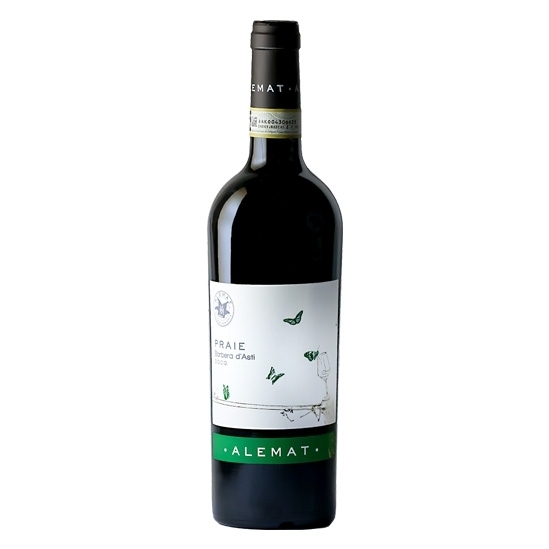 With an incredible quality-to-price ratio and a great balance despite being such a young wine, out of all the Alemat-signed Barbera wines, we define “Praie” as its simplest, most straightforward and fresh variety. It is a stylised, captivating and warm Barbera wine that focuses on its fruitier almost winey aspects like no other.